An abdominal aortic aneurysm is a serious condition that doesn’t always show symptoms. This condition causes an enlargement of your aorta that could rupture if not treated properly. 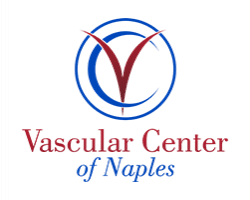 At Vascular Center of Naples in Naples, Florida, Dr. Russell Becker offers effective treatments, including minimally invasive endovascular surgery, to reduce the chance of rupture and potentially save your life. To learn more about available minimally invasive surgery options, schedule an appointment online or by phone. An abdominal aortic aneurysm affects the major blood vessel that provides blood to the rest of your body. It causes an enlargement in the lower part of the aorta, which runs from your heart through the center of your chest and abdomen. If ruptured, the aneurysm can cause bleeding that can turn life-threatening. 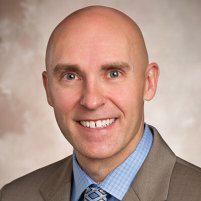 Initially, Dr. Becker may monitor the size and rate of growth of the aneurysm before recommending treatment. If the aneurysm grows rapidly, he may recommend treatment as soon as possible to prevent a rupture. Generally, abdominal aortic aneurysms grow slowly and don’t cause any symptoms. In some cases, the aneurysm doesn’t rupture and may stay relatively small. If you suddenly start to experience these symptoms, seek immediate medical attention to prevent a rupture. You may also be at increased risk for an abdominal aortic aneurysm as you age. They are most common in people over the age of 65. Frequently, abdominal aortic aneurysms are discovered during routine examinations when the doctor palpates your abdomen for abnormalities and feels a pulsing bulge. Dr. Becker can use imaging tests to confirm your diagnosis, including a CT scan, MRI, or abdominal ultrasound. What treatments are available for an abdominal aortic aneurysm? Initially, Dr. Becker may recommend waiting to see how the aneurysm grows before recommending intervention. If endovascular surgery is necessary, Dr. Becker inserts a catheter through a vein in your leg. Attached to the catheter is a metal mesh support that he places at the aneurysm and expands. He puts the mesh support into place with small hooks or pins to reinforce the weak section of the aorta. This procedure prevents a rupture of the aneurysm. Dr. Becker can determine if you’re a good candidate for the minimally invasive endovascular surgery. If not, you may need to have traditional open surgery, where Dr. Becker accesses the aorta through your abdomen.